Our professional nail experts can make your nails look stunning with our wide variety of nail polish colors and artificial nail designs. We have a passion for learning the new fun trends for nails and toes and it shows! Our number one priority is providing clients with a great experience. ​ We are always ready to have fun and laugh with our clients, making each and every appointment a new experience. 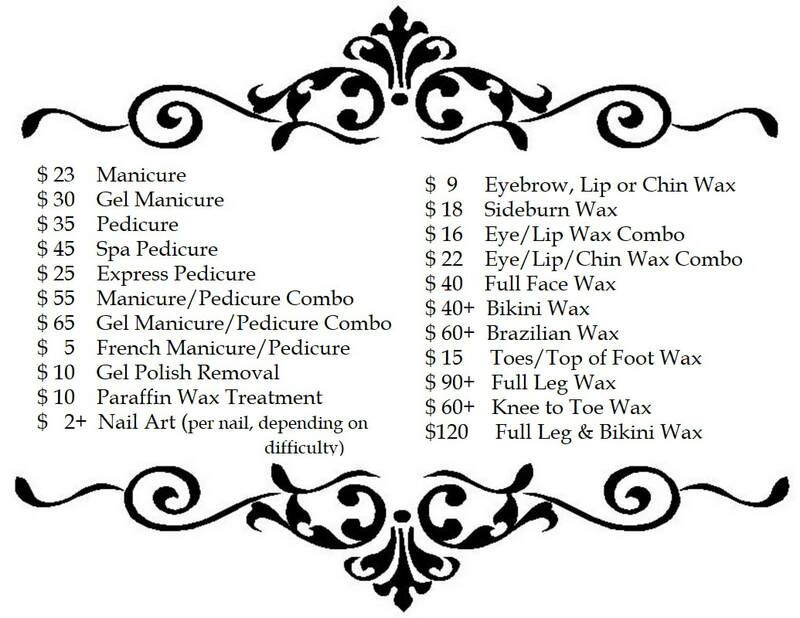 ﻿﻿ We offer complete waxing services from facial, bikini to full body waxing.